Many homeowners avoid testing paint in their house, perhaps because out of sight can mean out of mind. A lack of peeling paint does not mean there is no problem. Unfortunately, the head-in-sand ostrich-myth approach can lead to serious health consequences. It is worth making sure your home does not contain any lead paint. can tell you if there is lead present. Once you determine that your home contains lead based paint, you want to act quickly. You need to seal off each contaminated room. This starts with choosing one door to enter and leave the room by. Seal off any other entry into the room. This means you must close windows and seal them off with plastic. 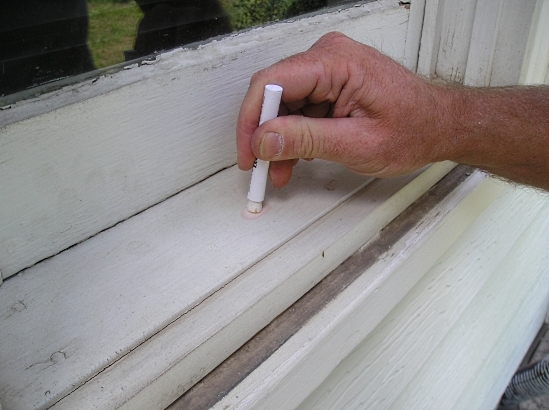 To prevent lead-laden dust from settling into the seals around doors, tape the cracks around the doors. Once you have chosen the entry, you need to cover the frame with plastic, and cut a vertical slit to enter and exit. Tape a second piece of plastic over the first, taping it down only at the top. This “curtain” will prevent most of the dust from escaping through the slit. Then you start cleaning each room from the top down with a sponge mop, walls and ceiling. 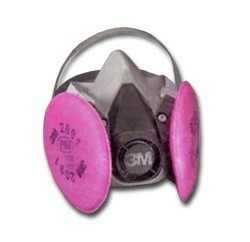 You want to remove any carpet so excessive lead dust isn’t ground into the carpet. Before you do so, vacuum the carpet. If it is seriously dirty, steam clean after a thorough vacuuming. Then remove from the room. You may have to take down the plastic curtain to remove the carpet. You also need to prevent any dust from the tainted room circulating into the rest of the house through the vents in the home. Turn off the air conditioning or heat. Then seal all vents closed with strong plastic and tape. After doing these things, you are ready to learn the tips for actually handling lead paint issues. You will want to avoid sanding lead-based paint as much as possible. When it isn’t possible to avoid sanding, you need to learn how to sand lead paint safely.